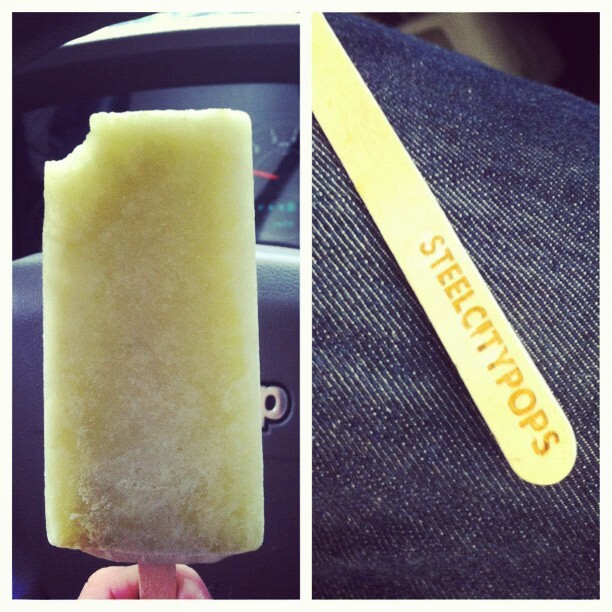 The new summer craze around Birmingham is Steel City Pops. They have a couple of sidewalk carts as well as tiny storefront in Homewood. We take mental breaks from the office to go get popsicles. I’ve only tried a few of their fabulous flavors, but after tasting the Pineapple Jalapeno, I knew I needed to make a batch at home. I bought my popsicle molds at Walmart, for less than $2 each. I love them because they don’t drip down your hand. Perfect for littles. However, this recipe is not kid friendly, so I suggest making two batches. Alston was not happy that mommy wouldn’t share her popsicle. I bought a pineapple and two jalapenos at Publix weekend before last. I realized Saturday that I needed to cut up my pineapple before it ruined. My jalapenos had started to shrivel and turn red in my window sill, but I think it actually helped my recipe. I ended up throwing one of the jalalpenos away and plucking a small one from our garden. I only used a small sliver of the store-bought one, but it packed much more heat than the fresh green one. I don’t know if letting it ripen intensified the heat or if mine wasn’t quite ripe enough. Either way, they balanced each other out. I strongly suggest you taste your jalapenos beforehand so you can better judge how much or how little you need. *remember to wear gloves or wash your hands very well after handing hot peppers… don’t touch your nose, eyes or other sensitive areas, and be sure not to touch your precious littles either! Milk is a good way to to ease the burning if its too hot for your palate, and should also help if it burns your skin. I recommend wearing gloves. I combined the sugar, pineapple and peppers in my Ninja food processor and pulsed until the big chunks were pretty small, then I blended until the jalapenos were just tiny specs. 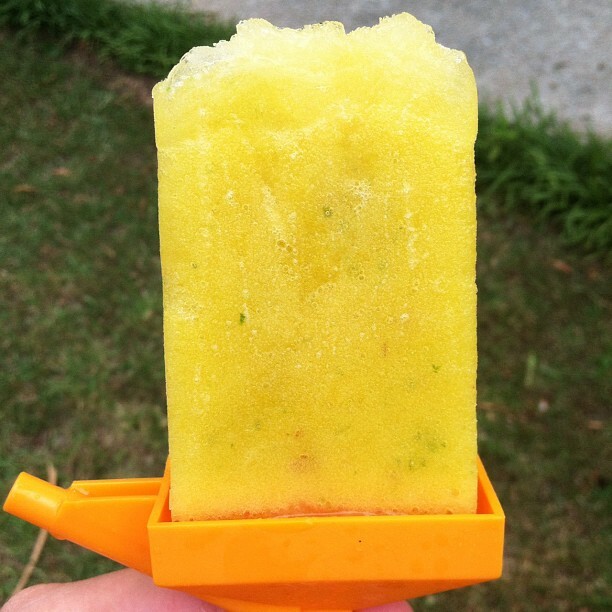 I added the water last, mixed a little more and poured into my popsicle molds. (Don’t over-blend, because your mixture will turn foamy.) I only had mold for 8 popsicles, and more than enough of the mixture. I watered down the rest and poured it in a plastic cup to eat like Italian ice. I tasted the mixture before I froze it and was afraid that I might have added too much jalapeno. However, after I tasted the frozen version, I think I could have added more and still been safe. Depending on how spicy you like things, you may want to add more. I figured if mine turned out too spicy, I would just melt them back down, add more pineapple and start over. I’m also thinking these would make great margaritas.